“This is breaking new ground nationally and it is a very exciting experiment,” said Samuel Walker, a nationally recognized police-accountability expert and emeritus professor criminal justice at the University of Nebraska Omaha. Nearly seven years after an officer’s fatal shooting of First Nations woodcarver John T. Williams shook faith in the Seattle Police Department, the City Council unanimously passed historic legislation Monday to bolster civilian and community oversight of the department’s internal disciplinary system. The ordinance now will be reviewed by U.S. District Judge James Robart to determine whether any of its provisions conflict with a 2012 consent decree between the city and U.S. Justice Department requiring the Police Department to address excessive force and biased policing. If approved, the city would then face bargaining with its two police unions over some terms that would, for example, make it harder for officers to overturn firings and other discipline on appeal. Overall, the ordinance creates a powerful civilian inspector general who, beyond overseeing disciplinary matters, would also review internal workings throughout the department. It also would bring across-the-board civilian supervision of internal investigations by the newly named Office of Police Accountability, with at least a mix of civilian and sworn investigators instead of solely uniformed officers. And the Community Police Commission, created as a temporary body under the consent decree, would become permanent and larger, with enhanced authority to shape the future of the department. “This is breaking new ground nationally and it is a very exciting experiment,” said Samuel Walker, a nationally recognized police-accountability expert and emeritus professor of criminal justice at the University of Nebraska Omaha. “There is no comparison,” Walker said in an interview Monday with The Seattle Times. The key to success, he said, will be the ability of the three entities to work together. But to reach that point, the bargaining with the largest union, the Seattle Police Officers’ Guild, will present a test. Stuckey couldn’t be reached after the vote to elaborate on his comments. No representative of the other union, the Seattle Police Management Association, which represents captains and lieutenants, spoke during Monday’s council proceedings. The U.S. Attorney’s Office in Seattle, in a statement, noted that reforms implemented under the consent decree largely have focused on “front-end” prevention of problems. “This legislation focuses on the important safeguards necessary on the ‘back end’ when things go wrong and discipline of an officer is being considered,” the statement said. The legislation adds to sweeping reforms the department has enacted under the consent decree, including new policies that the court’s federal monitor has lauded as bringing about a dramatic reduction in the use of force. It was the shooting of Williams on Aug. 30, 2010, on a downtown Seattle sidewalk that played a key role in triggering federal scrutiny of the department. The shooting was found to be unjustified and led to the resignation of the officer found to have acted outside department “policy, tactics and training” when he shot Williams four times at Boren Avenue and Howell Street. Other police actions also drew attention, including an officer’s highly publicized threat in 2010 to beat the “Mexican piss” out of a prone Latino man. 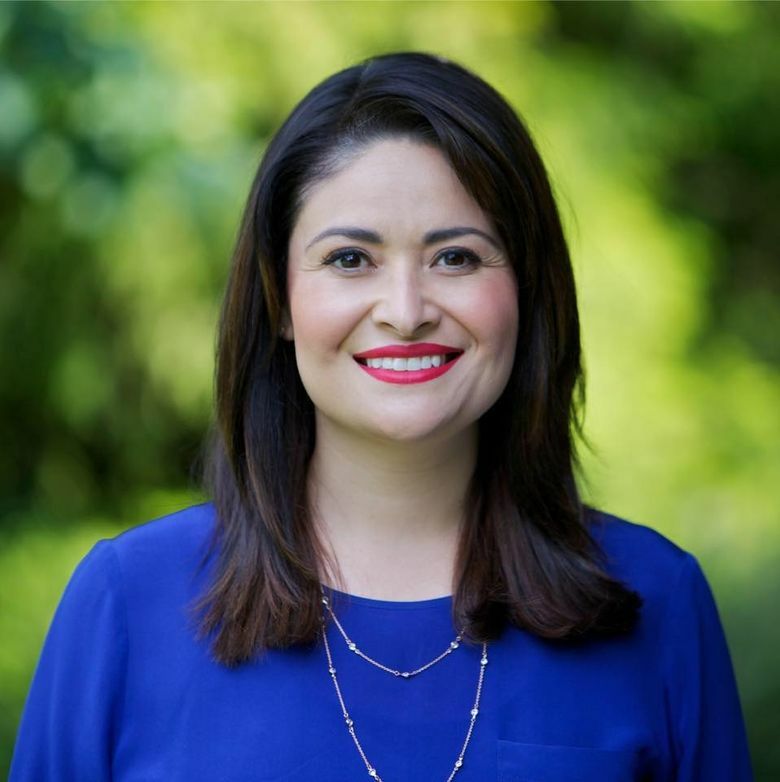 The man’s attorney was M. Lorena González, who in 2015 was elected to the Seattle City Council and, as chair of the council committee overseeing public safety, ushered through the legislation that passed 8-0 vote Monday, with Council President Bruce Harrell absent. “Today’s vote crystallizes my vision for Seattle’s police accountability framework and our ongoing efforts to reform the Seattle Police Department,” González said in a statement shortly after the vote. Before the vote, González singled out Councilmember Tim Burgess for his work on the ordinance, calling it “quite a legacy” before he leaves the council at the end of the year. 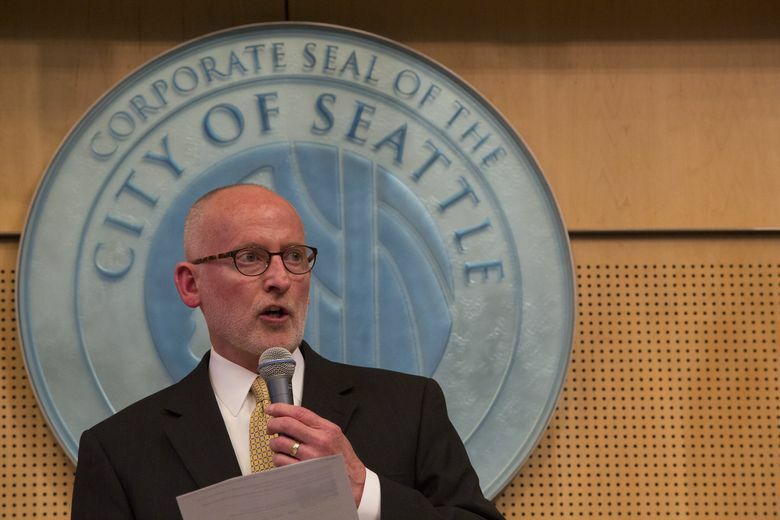 Burgess, a onetime Seattle police officer, has championed police reform for years. Burgess praised Mayor Ed Murray and Police Chief Kathleen O’Toole for their work in supporting reform efforts they inherited. O’Toole retains final say over discipline under the legislation. But the most emotional moment came just before the vote, when González asked the Rev. Harriett Walden, an African-American woman and co-chair of the Community Police Commission, to stand in recognition of her decades of work as a founder of Seattle’s Mothers for Police Accountability. The packed council chambers erupted in cheers and a standing ovation.